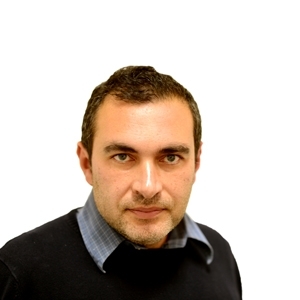 Almost half of respondents in a MaltaToday survey on supermarkets have chosen the discount giant Lidl as their first store of choice, followed by 15% who mentioned Pavi in Qormi and 11% who prefer Smart supermarket in Birkirkara. Other popular supermarkets are the new Pama supermarket in Mosta, and the Scotts chain, both mentioned by 8% of respondents. 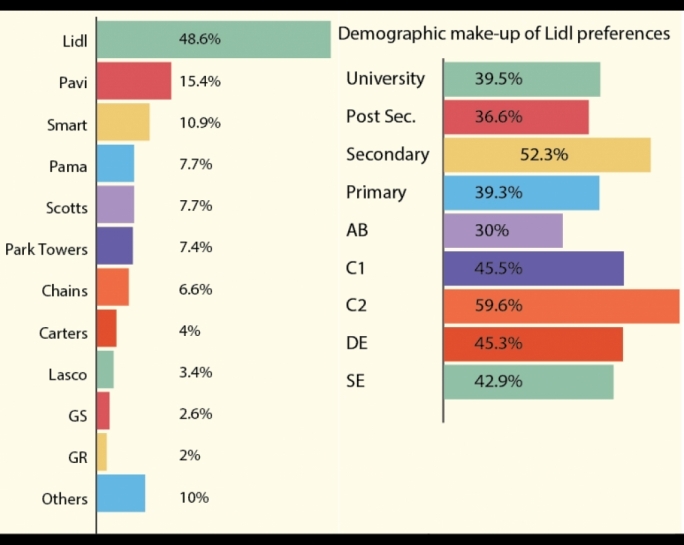 The survey suggests that Lidl is more popular among those with a secondary level of education. Among this category of respondents, 52% mentioned Lidl as one of the supermarkets from where they buy most goods. But Lidl also appeals to respondents with a university level of education, 40% of whom also mentioned Lidl. The survey also suggests that respondents with less income are more likely to shop from Lidl. In fact while only 30% of ABs (professionals and managers) shop from Lidl, the percentage rises to 60% among C2s (skilled workers). Although Lidl is the most popular supermarket, 63% of respondents who shop from Lidl also shop from other supermarkets. This suggests that Lidl is complementing existing supermarkets. In fact 33% of shoppers who mentioned Pavi also shop at Lidl, while 47% of shoppers who mentioned Smart also shop at Lidl. 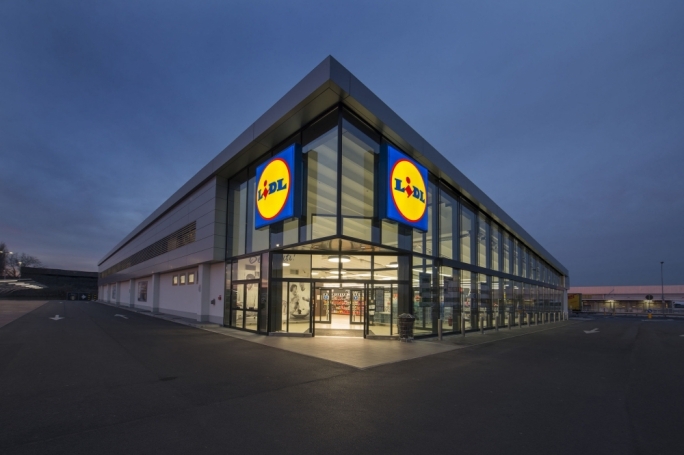 Lidl, which operates over 10,000 stores across Europe, was awarded a €13 million loan from the European Investment Bank to commence its operations in Malta back in 2005. 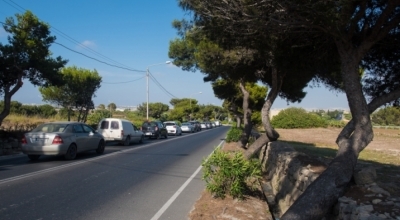 It already has seven stores in Malta – three of them located outside development zones – offering cheaper branded products by benefitting from the economies of scale of importing in bulk. The survey suggests that supermarkets in general are only taking a limited share of the market from butchers and green grocers, with the majority remaining loyal to corner shops. But while fewer than one-tenth of over-55s buy their fresh fruit and vegetables from a supermarket, one-fourth of 18-34 year-olds buy their greens from a supermarket. Overall, only 15% of respondents buy their greens from supermarkets, compared to 18% who buy their meats from a supermarket. 82% still buy meat from butchers while 72% buy vegetables from the greengrocer. 13% buy their greens from farmers’ markets. The percentage is slightly higher among younger respondents (15%), suggesting that this niche where consumers can buy directly from the farmer without paying a cut to middlemen, is indeed growing. But supermarkets rule the roost when it comes to the sale of other daily necessities such as milk, toilet paper and processed foods. Corner grocers remain strong among the over-55s, 51% of whom buy these goods from them. But among the 18-34 group, only 27% buy their necessities from grocers, compared to 60% who buy them from supermarkets. Convenience stores are also making their mark, with 12% buying most of their goods from these more modern versions of the traditional grocer. But only 3% buy their meats from these stores.